A week after eating Peking Duck in Peking (Beijing), YUMMRAJ decided to get back to his favorite Peking Duck in Delhi to mentally compare notes & the result – YUMMRAJ Khush hua:) . Kiddin apart, the Peking Duck here is as good as that in Peking & so are the numerous almost authentic Chinese dishes that made me feel ‘still in Beijing’. I rate all the food items & then give a final overall rating which is a simple average of theindividual iem ratings. What the ratings stand for : 5 = Excellent, 4 = Very Good, 3 = Good, 2 = Fair, 1 = Disaster. This restaurant is located near the pool of Hyatt & has a poolside seating as well which I guess is enjoyable only for 3 -4 months in the year. Of course there is a covered Restaurant seating & that is where we chose to sit. 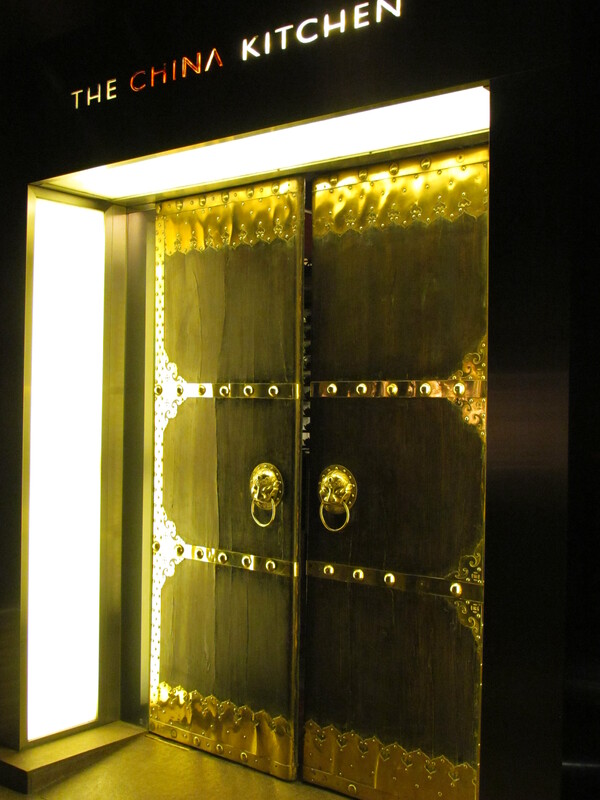 The entrance to the restaurant is a huge wooden door with Golden Color Lion face handles. 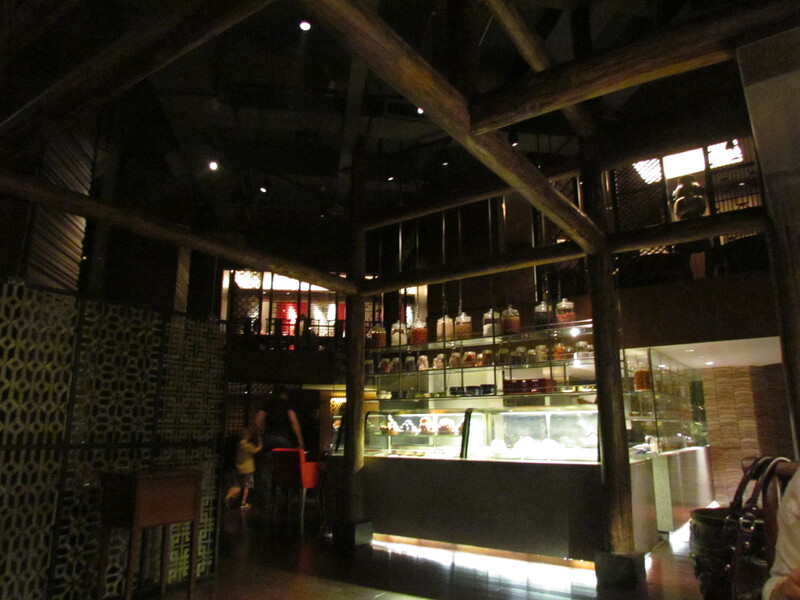 As I entered the place I got the feel as if I have come into an upscale Chinese Restaurant in Beijing. The interiors are quite dark & dimly lit. The only source of light are the several see thru Kitchens. The seating is on two floors. Decoration is very intrinsic Chinese style. Black, red & golden were the only colors visible. Recommended for a romantic evening out. The open kitchens were constantly drawing my attention. I cud see Chef bringing in a huge mound of flour & then making small circular flat shapes out of that with a wooden roll. 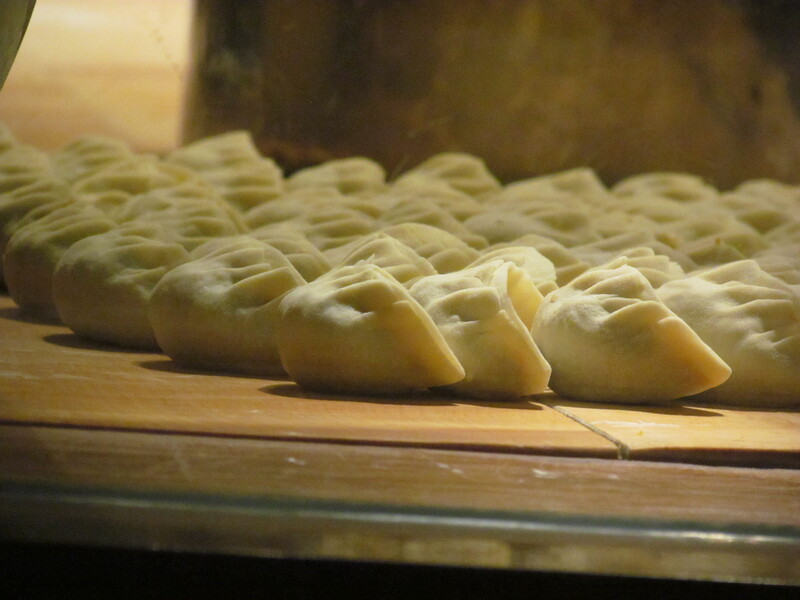 Then he was hand filling the filling & sealing the momo & keeping them in a row. 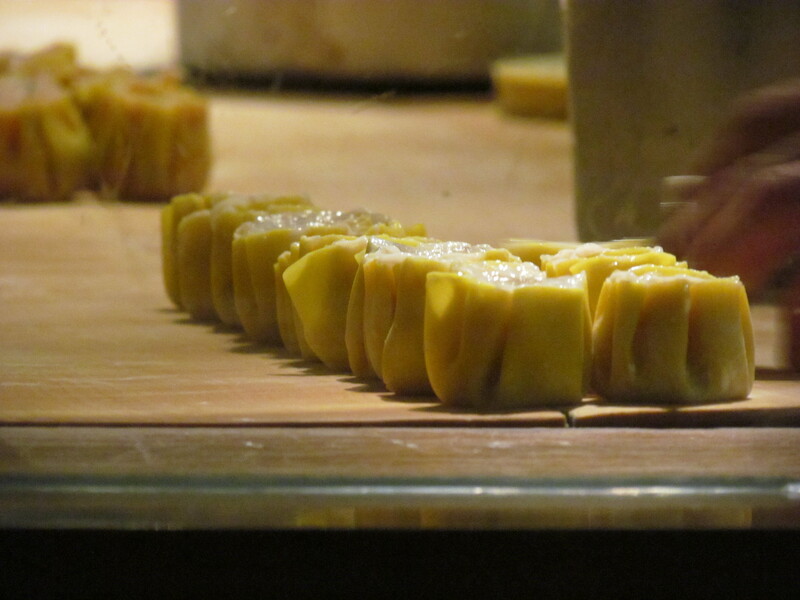 I also saw the open dimsum being made in some time. 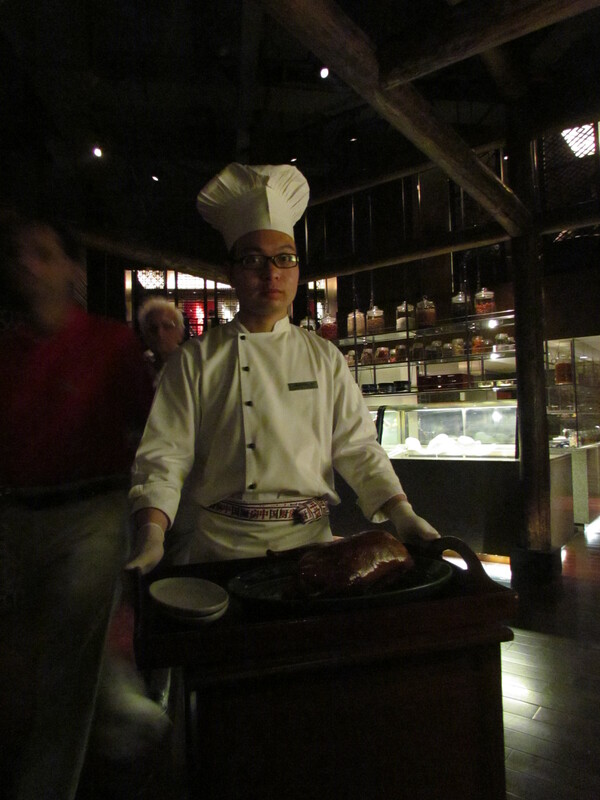 On another side there was the wood fired oven in which Peking Ducks are roasted. There was a lot of activity here as well. The dessert Kitchen was also seeing quite some activity as evening made its way to night. Service is good, efficient but not necessarily warm – This was left to the individual personalities of people in the restaurant & no training seemed to have been imparted towards this. Tableware was interesting. Dishes were placed on a wooden thick plate. These plates were nicely stacked in one of the corners. Each table had some condiments like chilli sauce, sweet chilly sauce, chilli oil etc. presented in a very nice manner. Food was awesome in general except one particular item. I wud choose to ignore that one exception while I decide to go back to this restaurant again. 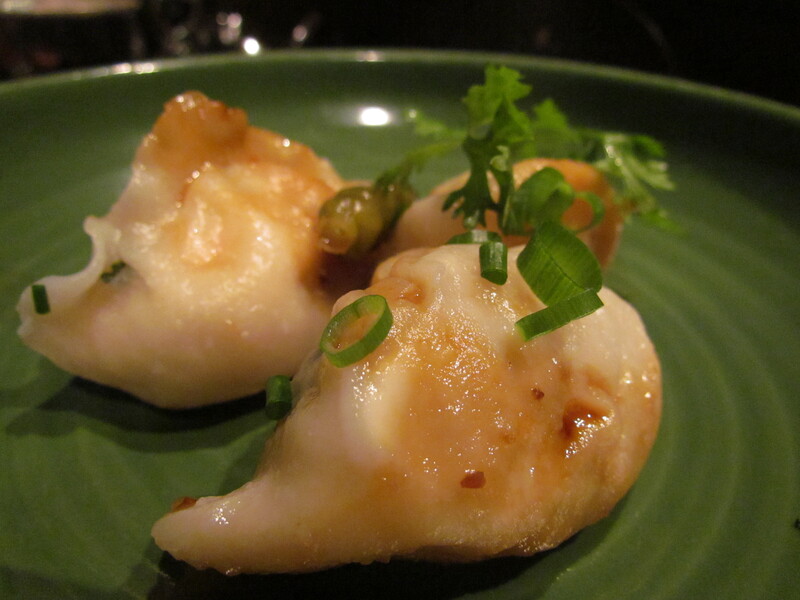 We started our evening with Boiled shrimp & water chestnut dumpling with pickled green chillies. I have had this dumpling several times before both in China & at times in top end Chinese Restaurants in India. I had always like it due to the softness of shrimps, juiciness , the crunchiness of water chestnut & the thin-ness of outer layer that highlighted the filling. The dimsums here were not juicy, the shrimp filling had become hard I guess due to over cooking, the outer layer was thick & interfered with the taste of the filling & overall the dimsum was not very soft either. The overall joyful experience of having a good normal momo or Dumpling (b it anywhere in India, any kind of eatery) was also missing in this dumpling. That was very surprising to me coz I cud see the Chinese Chefs hand making the dumplings!!!! Maybe it was made by the trainees when Chef went for a bio break!!!!!!!! Or whatever. Net result – We were badly disappointed right at the beginning. I rate this dimsum at 2.5/5. 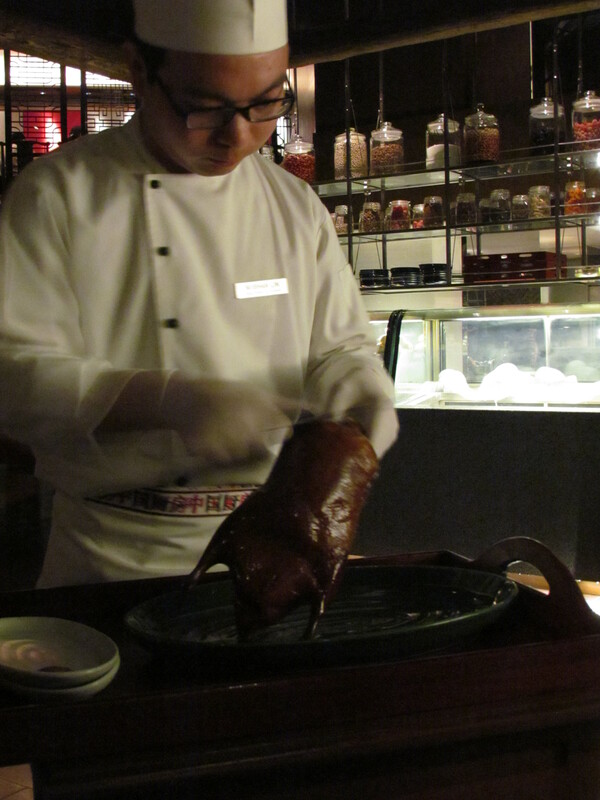 Peking duck – A trolley came to our table with a full roasted duck. A Chinese Chef walked in to carve the meat & serve us. I asked for a photo & he obliged. After eating this I felt like singing ‘ Tareef karoon kya uski jisne tujhe banaya’. Wah Wah. Even before I say further, I rate it as 4.95/5. It had a crisp super thin outer layer & a super juicy middle meat that was very soft. The Layer of fat was distinct & added a zing to the texture of the food. 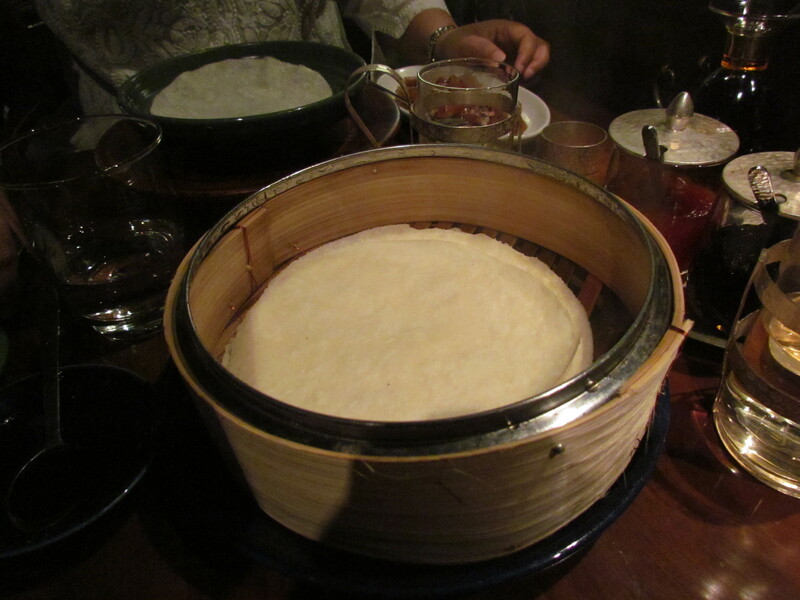 It was surely the best Peking Duck I have had in Delhi ncr. Now that I am feeling relieved after passing on my excitement to u, let me describe this dish a bit. A full duck with skin is marinated in different kinds of sauces, herbs, honey etc & the roasted in wood fire at XYZ temperature & ABC time. The result is that the outer layer becomes super crispy & the meat becomes super juicy & soft. 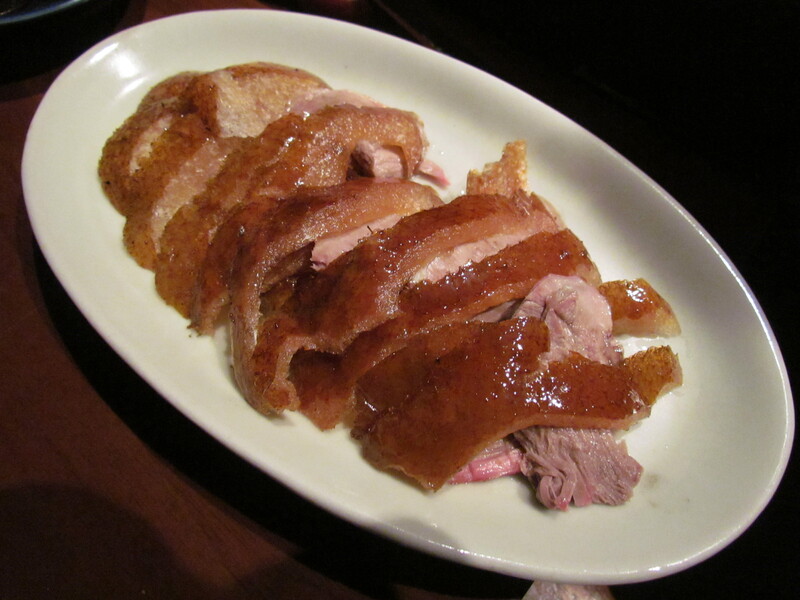 Duck meat is usually much stiffer than chicken & difficult to manage. If u eat this duck & any curried duck, u will understand the difference. 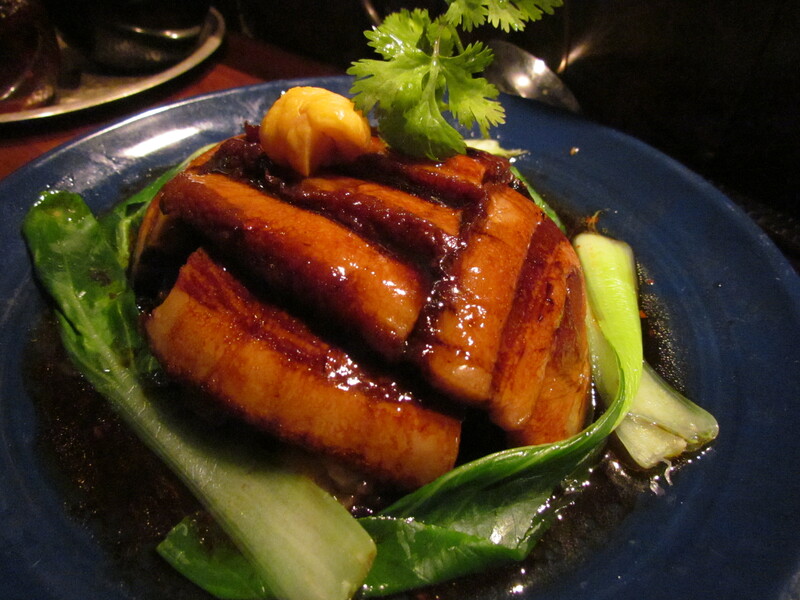 A Thick, almost blackish brown, sweet sauce is served with the duck & so is a tangy garlic paste. 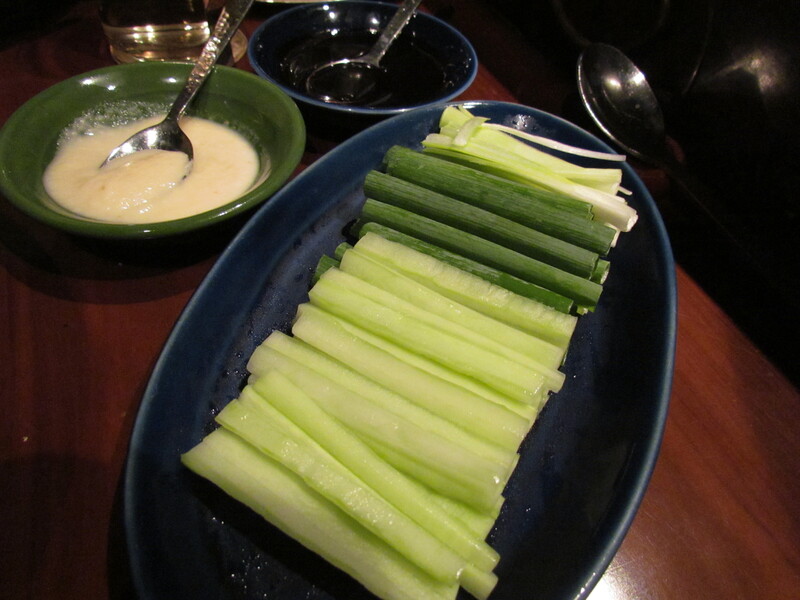 Long thin strips of spring onions, carrots, cucumber etc. are served with the duck. Along with all these super thin piping hot pancakes (somewhat like rumali rotis in texture & thickness) r served. The traditional way of eating is to apply the garlic paste & sauce on the pancake, add some veggies described above & the duck pieces, roll them together & eat. The duck tastes fab even without the veggies & without the pancakes as well. Since the duck is almost unsalted, sprinkling salt / dipping in sauce surely helps. Post Peking Duck we decided to order Pork belly. This is also another dish that is difficult to make , takes a long time to make & most people do not get it right. 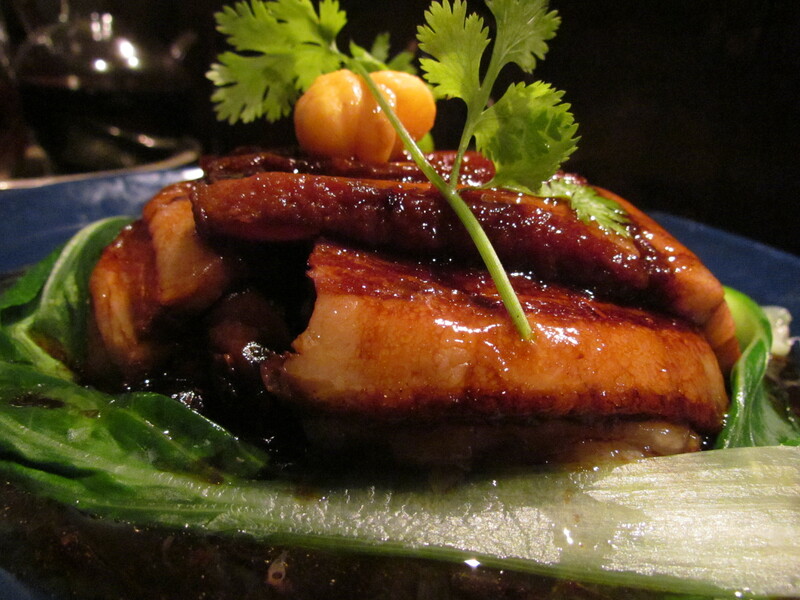 Pork belly came in a very understated way & was served on our table. A bite into it & we looked at each other with utter disbelief. For dessert we had Jasmine tea tiramisu. In China there r not too many desserts. So we settled for a European dessert with a Chinese flavor. 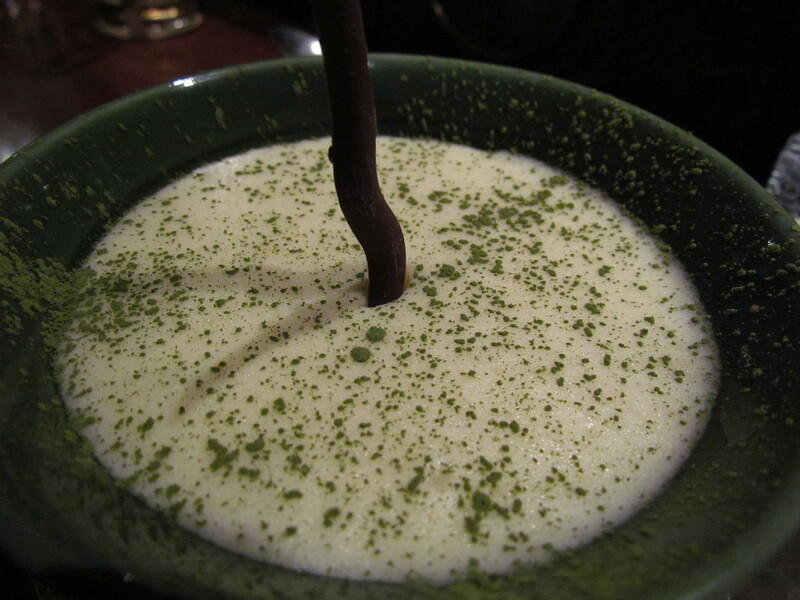 It was wonderfully rich, creamy, wow with mild flavor of Jasmine tea. 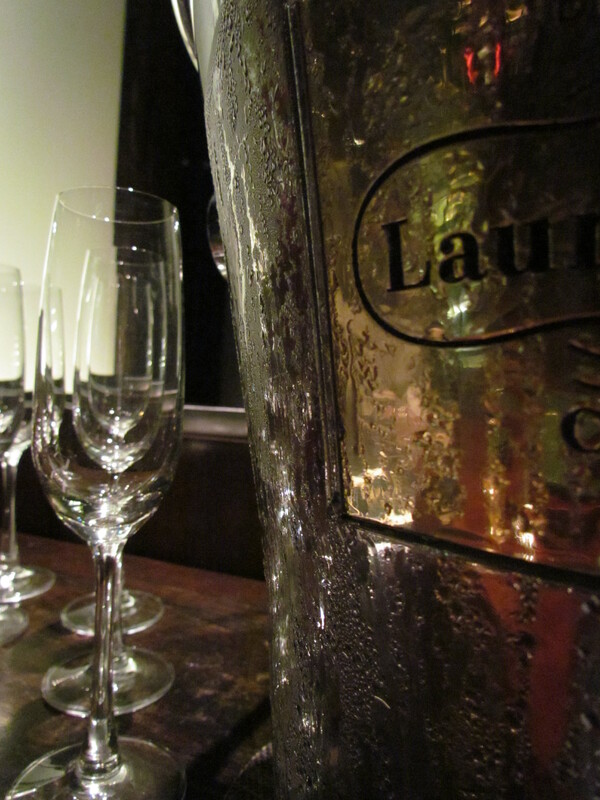 Loved it – A perfect way to end a memorable meal. I wud give this a 4.5/5. 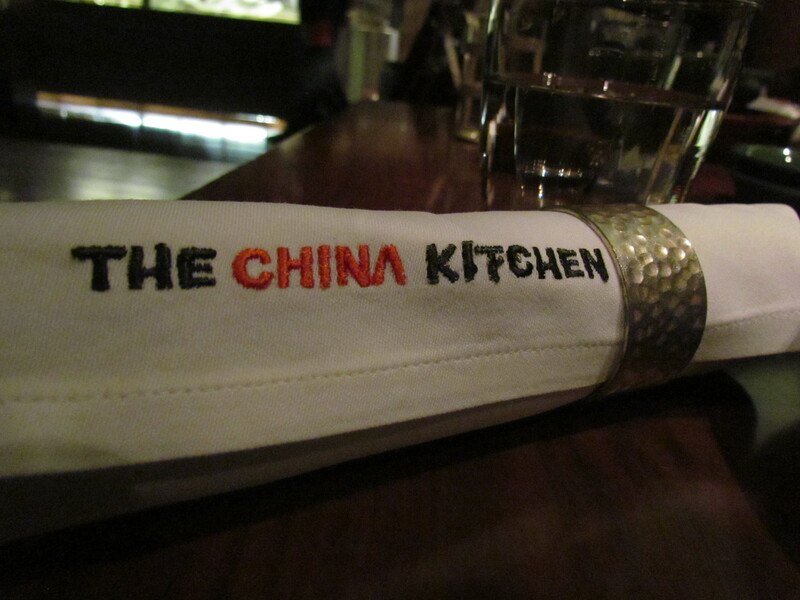 The rating of food at China Kitchen averages out to 4.2/5. Without the silly dimsum (I paid for it though), it adds up to 4.78/5. I wud surely revisit & take my friends & family here. How about u? have you really been to beijing?